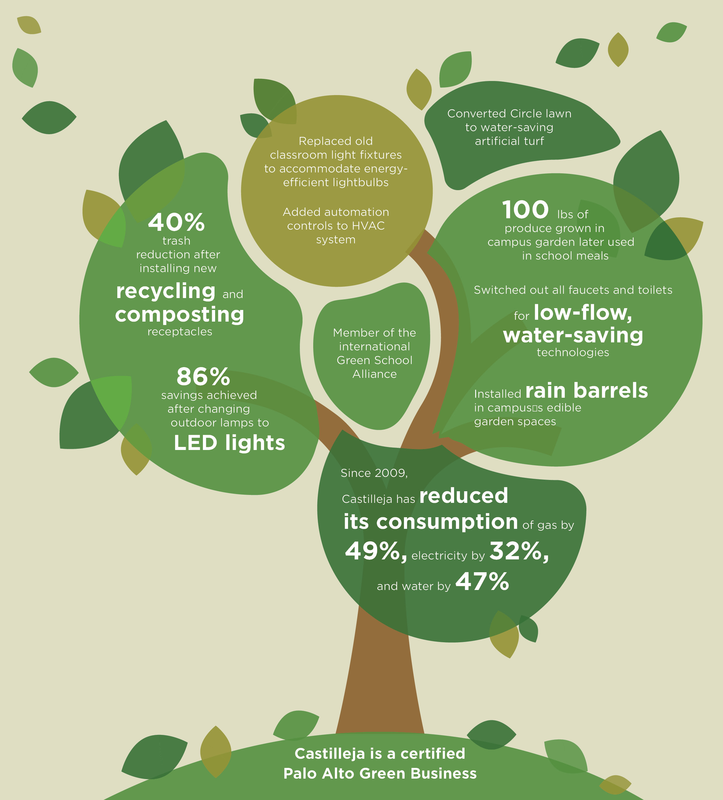 Castilleja’s commitment to sustainability through modernization does not stop at the campus edge. Castilleja hopes to becomes a regional leader with a Master Plan that meets LEED Platinum standards. The redesign process is a thoughtful, two-phased effort that seeks net zero energy usage and utilizes renewable energy sources. This includes the installation of solar panels, a reduction in food service deliveries, and increased bike parking. Castilleja is not only committed to minimizing its environmental footprint on campus but also to integrating environmental education into the curriculum. By teaching students to be environmental stewards, the seeds of conservation will be planted in the next generation of leaders. Palo Alto is an homage to tall trees. A verdant oasis in the hustle and bustle of Silicon Valley, the Castilleja campus is covered with a lush tree canopy that is good for the environment, shades our students on sunny days, and provides a park-like interface with our residential neighborhood. It was with great care and with knowledge of the special place trees hold in our community that we undertook the landscaping portion of our master planning process. Reorienting our campus to better fulfill our mission of educating young women and preparing them to be tomorrow’s leaders required updates to our tree plan. The new tree plan includes planting dozens of new trees; out of our 174 existing trees, approximately 139 will either be left untouched or relocated. Approximately 35 trees will need to be removed, when after further study it was discovered that the years-long drought and instances of naturally-occurring disease has wrought damage beyond repair. We appreciate that trees are as important to our neighbors as they are to the Castilleja community, and we will be available to discuss this issue with those who are interested. 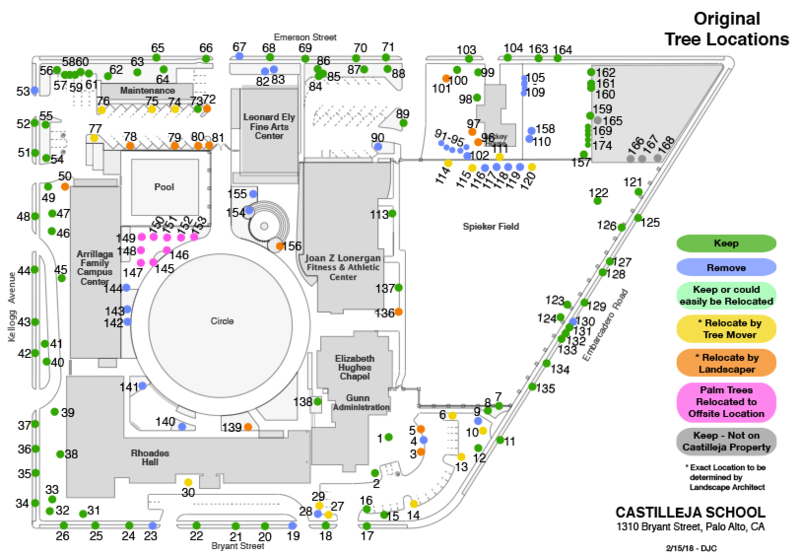 Please review the updated tree map for more information.